War is hell and the winning side is often the one which makes the fewest mistakes. The Scots are justly proud of their fighting men and women but mistakes have been made. Best-selling author Paul Cowan turns his attention to the disasters which have befallen Scotland’s soldiers over the centuries. 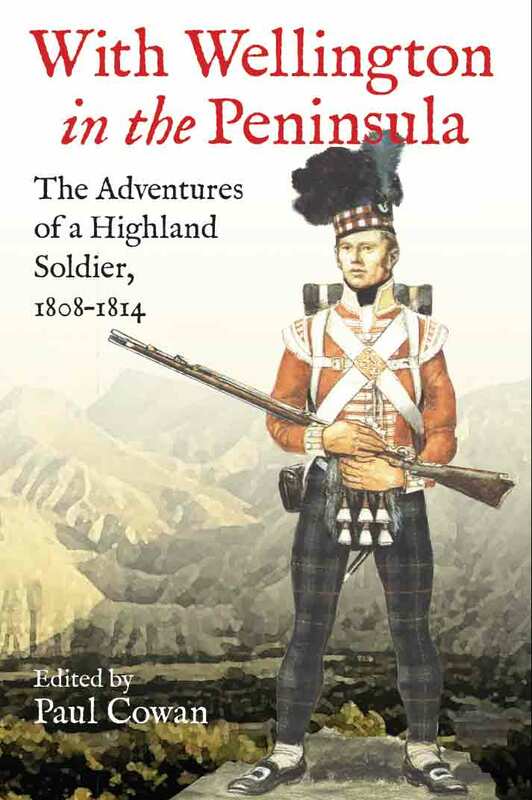 His sharp eye for anecdotal detail, ranging from the gory to the humorous, help make this engaging account of military fiascos, catastrophes and blunders involving Scotland’s proud fighting men come alive for the general reader. Why should soldiers' stories only be told when they're on the winning side? "Author and war journalist Paul Cowan gives a pithy thumbnail sketch of each battle or incident (the longest episode is nine pages), and sets each event in the context of its time and also lists, where appropriate, its military or historical consequences. All in all, it is a cracking good read." "[T]his pacy, lucidly written history is extremely readable and highly informative"
"A fascinating and highly recommended read." "Wha Killed The Braw Lads? - When Scottish soldiers ended up on the losing side. "THERE is something unnerving about a screaming man charging head on at you with the sale intent of impaling you on a piece of sharpened steel." I'm in total agreement with that observation. The steel in question is a bayonet, firmly clamped to the business end of a rifle barrel, but the key word is unnerving as countless troops in numerous battles have discovered for themselves. For the opposition it was time to turn and run and they always did, despite the fact that very few battlefield injuries were actually caused by bayonets. The sharpened length of steel was (and still is) a psychological weapon rather than a physical one. This observation comes from journalist Paul Cowan in his paperback about Scottish regiments at war. But this is no elongated paean to the glory of our victorious lads surmounting the odds in various parts of the Empire and Europe. This work is very different, for its title is Scottish Military Disasters. There were plenty of those - nearly 2000 years' worth, from Calgacus and his hordes losing out to the Roman legions at Mons Graupius right through to the fi rst Gulf War in 1991 and the needless deaths of three Highlanders at the hands of gung-ho US reservist pilots. The author doesn't mince his words when it comes to leadership, though the officers at regimental level come out fairly well. He reserves his true vitriol for the high-ups. I don't recall his use of the word "numptie", but you will know what I mean. High on the latter list must surely be Lt. General Aylmer Hunter-Weston, a Scotsman whom Cowan describes as the Clown Prince of the Gallipoli campaign. His incompetence cost the lives of hundreds of young Scots in the 8th Scottish Rifles, part of the 52nd Lowland Division's 156th Infantry Brigade. Told of the slaughter, his unfeeling response was: "That will blood the pups." One of the pups was the author's great-grandfather. History, of course, is full of "what ifs"? While not a military disaster in the accepted sense, the death of King Alexander III in 1286 when he rode over a cliff during a storm dramatically altered Scotland's history. Had he lived we might never have heard of Wallace or Bruce and Paul Cowan is right to include this. He includes so much more that changes our view of great historical events. Remember that famous painting of the Gordon Highlanders hanging on to the Scots Greys' stirrups as they charged the French at Waterloo? Dramatic stuff, but who recalls that later in that same charge the overenthusiastic Greys were cut to pieces by French Cuirassiers, losing 100 dead and another 100 wounded out of their total strength of 350 troopers? One of Scotland's greatest military disasters was Flodden in 1513. But what went wrong, especially as the Scots outnumbered the English army two to one? How did the Cameronians come by their name? And why is the White House painted white? Lots of questions. Paul Cowan answers all of them and many more. A fascinating and highly recommended read. Few nations are as proud of their military history as the Scots. Their role in the British Army over the centuries is truly remarkable and Scottish regimental colours are awash with the names of great battles fought and won. 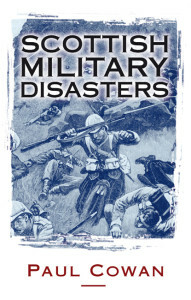 Hence a book called Scottish Military Disasters might almost be deemed heresy, yet it is a timely anthology of 33 military fiascos covering nearly 2000 years from Roman times to the Korean War, from the Highlands to the South African Veldt. The most painful defeats are there—Flodden, Culloden, Gallipoli—but also stacks of forgotten blunders and self-inflicted losses that many military historians would frankly rather forget. Some events chronicled are, in fact, not battles—the sinking of the Birkenhead in 1852, the Quintinshill train crash in 1915—but they are catastrophes in which Scots soldiers perished in their hundreds and so merit inclusion. Author and war journalist Paul Cowan gives a pithy thumbnail sketch of each battle or incident (the longest episode is nine pages), and sets each event in the context of its time and also lists, where appropriate, its military or historical consequences. And he has a sharp eye for anecdotal detail, from the gory to the humorous, about the battles and their aftermath. All in all, it is a cracking good read. At a time when Scots soldiers are still fighting and dying in distant corners of the world, this book offers a salutary reminder that battles are often won or lost by the slimmest of margins, but the long-term winners are those who learn from their earlier mistakes. We are renowned for being a nation talented in snatching defeat from the jaws of victory. Cheap as this statement is, it is no truer than when applied to Scotland's military history. Here former war correspondent Paul Cowan has compiled a blitzkrieg history of famous defeats, revealing an inauspicious part of our past. It spans a 2000-year period, beginning with Agricola's campaign in Caledonia at the battle of Mons Graupius in 83AD where, according to Tacitus, the Celtic leader Calgacus uttered the chillingly contemporary riposte to Rome's so-called civilizing: "They give the lying name of empire; they make a desolation and call it peace." Well-known accounts of events like Edward Hammer of the Scots' defeat of Wallace at Falkirk in 1298 dominate but perhaps the most interesting touches are vignettes such as the 211 young troops who died in a train crash at Gretna en route to Gallipoli in 1915. Perhaps too cursory for the scholar this pacy, lucidly written history is extremely readable and highly informative. Scotland has been known for recruiting and training some of the best military units in the world. The Black Watch, Gordon Highlanders, and Camerons are just a few of the elite outfits that have been immortalized throughout their existence. But there is another side to Scottish military history. 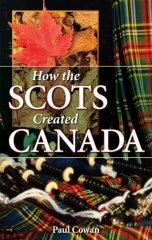 Canadian journalist Paul Cowan has spent the last two decades doing exhaustive research into Scottish military blunders since the Middle Ages. From Falkirk in 1298, where William Wallace was soundly defeated by an English army led by King Edward I, to the Korean War in 1950, the author examines various tactical errors committed by Scottish military leaders. At the Battle of Fort Duquesne, during the French and Indian War, the Montgomerie Highlanders attacked a fort held by the French and their Indian allies in present-day Pittsburgh. An 850-man reconnaissance force led by Major James Grant was caught by surprise, and hundreds of Scots were killed. Their severed heads were put on wooden stakes along the trail that stretched for the three miles as a grisly reminder to all who followed. Cowan feels that ignoring these mishaps does a gross disservice to the brave Scottish soldiers who fought with distinction in spite of these losses. He certainly knows this subject firsthand – his great-grandfather, Private Robert Cowan, was killed at Gallipoli in 1915 while serving with the 8th Scottish Rifles. Throughout its long history, the KOSB has not been immune from calamities, tragedies and simple bad luck that are inevitable concomitants of warfare. The Regiment’s first Battle Honour, “ NAMUR , 1695” was won at a heavy cost in lives. “Scottish Military Disasters” gives a vivid account of the siege of the citadel at Namur , where the Edinburgh Regiment, in spite of having lost over 500 men as the result of an exploding mine, seized the fortress wall and fended off French counterattacks until relieved. 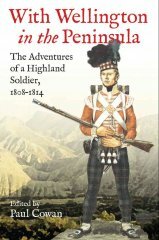 From the courageous but futile stand of the Caledonii against the might of the Roman Empire at Mon Graupius (an unidentified mountain in the north of Scotland) in 83 or 84 AD to “friendly fire” incidents in Korea in 1950 and the Gulf in 1991, this book chronicles the downside of warfare as experienced by the Scottish soldier over two millennia. However, far from being a depressing catalogue of failure, “Scottish Military Disasters” presents a picture of the Scottish soldier as a first class fighting man who is as courageous and resolute in adversity as he is formidable in battle.